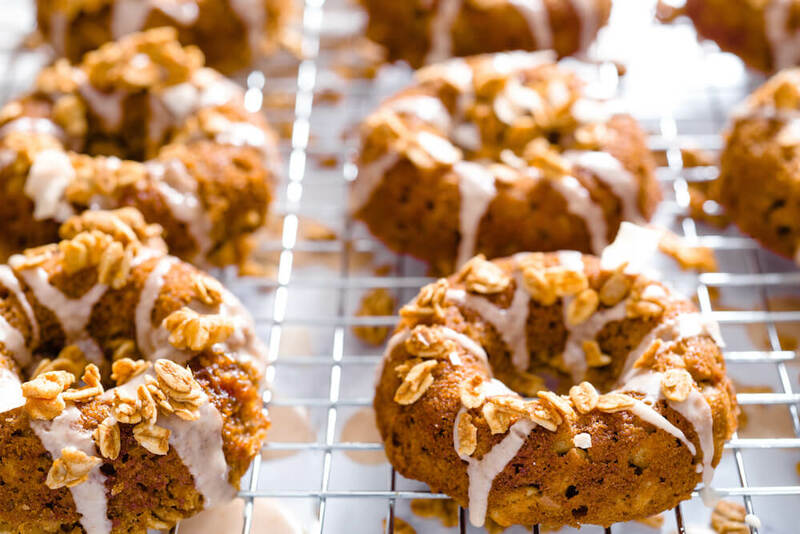 These light and flavorful Baked Applesauce Cake Donuts with Cinnamon-Vanilla Glaze are a fun and unexpected twist on the classic cake recipe. Happy National Applesauce Cake Day! 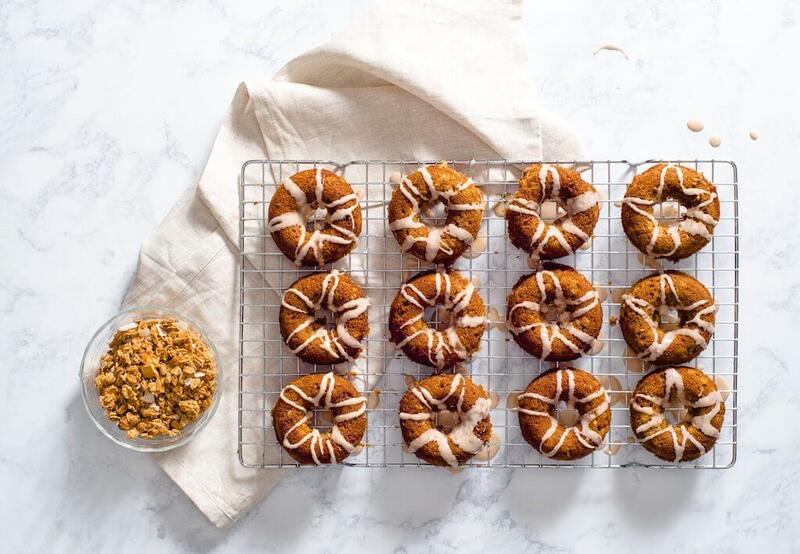 Disclosure: Shipt Grocery Delivery is a client of mine and I was compensated by them to create these applesauce cake donuts for their blog. They did not sponsor this blog post but I’m happy to share! All thoughts are my own. 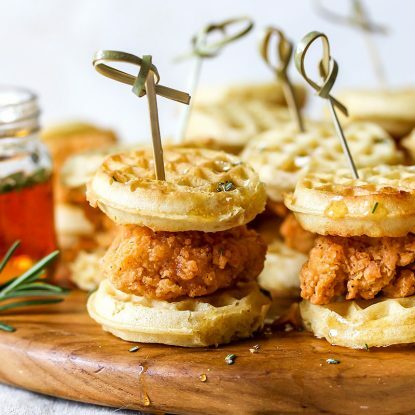 Yes, it’s a thing and isn’t it delicious! 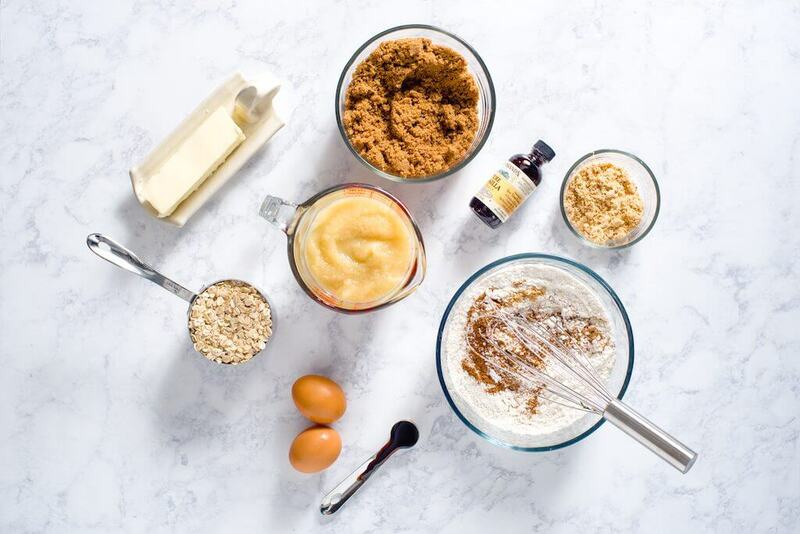 About a month ago my friends at Shipt asked me to develop a recipe to share on their blog for National Applesauce Cake Day. I’m not going to lie, I had to look it up to see if it was really such a thing. And the answer–June 6…it absolutely IS! Not being one to ever turn down the opportunity to make something sweet, I immediately started brainstorming what fun “twist” I could make on the traditional applesauce cake. 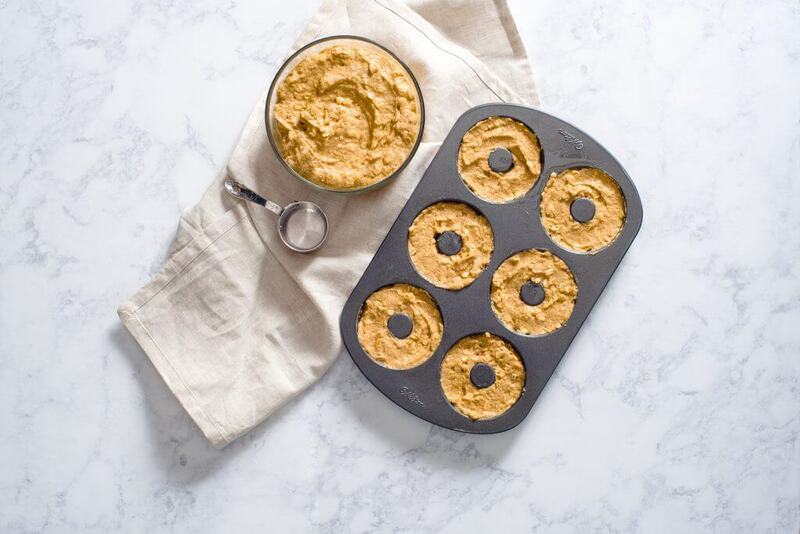 Of course, my mind immediately went to muffins (because goodness knows we like a muffin over here) but seeing as how I’m the new owner of a donut pan, I figured this would be the perfect opportunity to test it out. This recipe uses all of the traditional ingredients you would expect in an applesauce cake–butter, sugar, flour, eggs, cinnamon, nutmeg, ginger, and of course, applesauce. For a healthier twist (in addition to these being baked versus fried donuts), I added rolled oats to the batter. 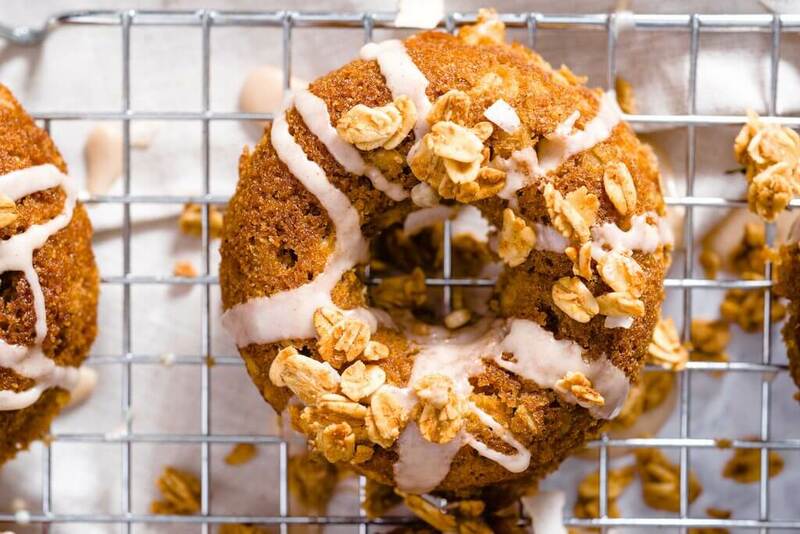 The result is a light and flavorful donut with the perfect amount of spice expected in an applesauce cake. You can check out all the details on how to make Baked Applesauce Cake Donuts with Cinnamon-Vanilla Glaze over on Shipt’s blog featuring my gorgeous step-by-step photos. 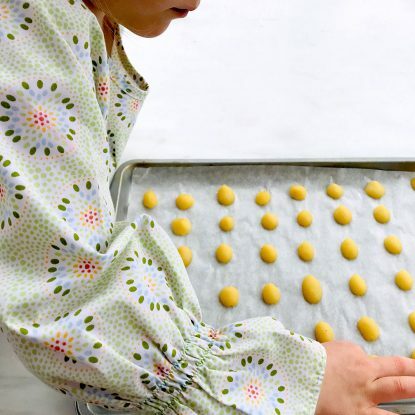 But to get you started, go ahead and grab the ingredient list below. 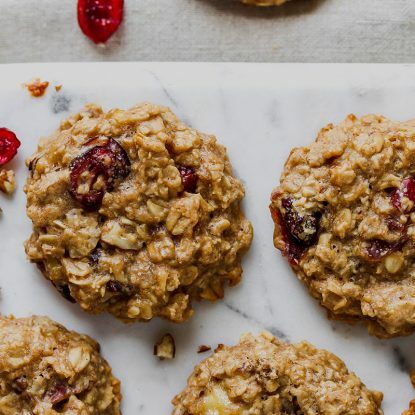 You’ll be delighted to know that while the ingredient list may seem a bit long, you likely have all of these ingredients in your pantry or spice cabinet. 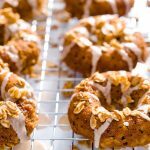 Baked Applesauce Cake Donuts with Cinnamon-Vanilla Glaze are a fun and unexpected twist on the classic applesauce cake recipe.